With so many companies offering similar products and services, captivating the attention of interested visitors is a big challenge. That’s where interactive displays come into play. Interactive trade show displays not only capture the attention of the audience but also focus on boosting engagement and providing a memorable brand experience. Display Brand Focused Content – Let the visitors know who you are and what you specialize in. Keep it informative like a mission statement, however, at the same time make sure it’s meaningful. Slogans and quotes look catchy but they should make some sense to the visitors visiting your booth. Attendees should be drawn in by a promise of what you can give them. Once the visitor steps in your booth, make it easy for them to navigate, tell them briefly about your products and services and what makes you stand out among your competitors. Create Engaging Product Demos – Attendees are always on the lookout of an exhibit that captures their attention and engages their senses. Your exhibit might lose its impact if it does not have any interactive displays, no matter if you have used stunning visuals or placed your products strategically. Create a real everlasting impact with product demonstrations so that visitors can actually try out your product right there. This product demonstration can also be termed as experience based marketing. And, it has proved to be a promising avenue for modern day marketers. Touchscreen Displays – Include touchscreen displays in your booth to let the visitors have a more personalized experience. In the displays, you can feature catalogs, company videos and portfolios for providing more in-depth knowledge of your organization. 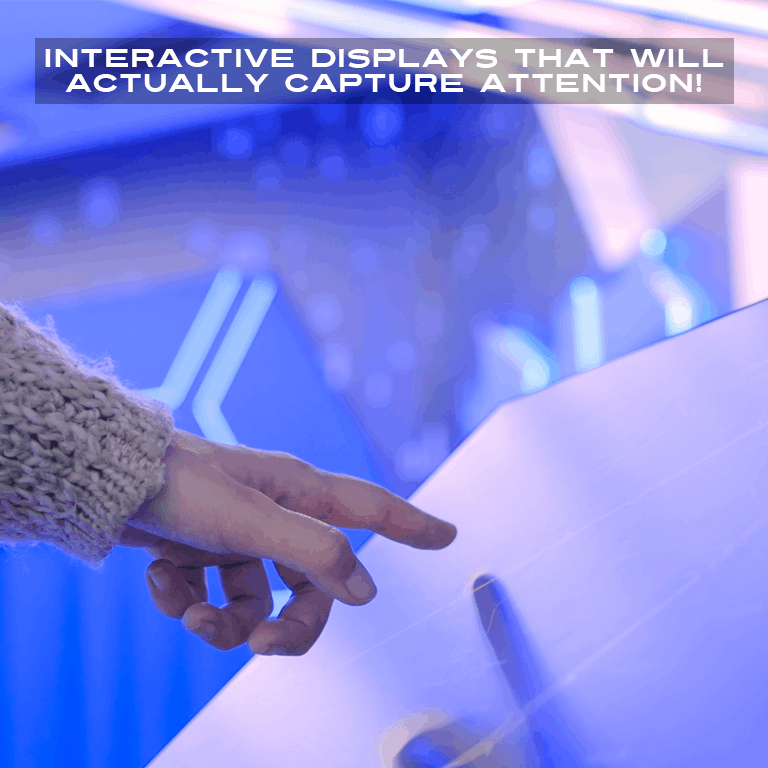 Touchscreen displays can be used to conduct contests within your exhibit. A touchscreen kiosk will boost interactivity of your booth without creating trouble for employees. Show Real Time Social Media Updates – Social media platforms are considered the best for building brand awareness and for interacting with your targeted audience in real time. 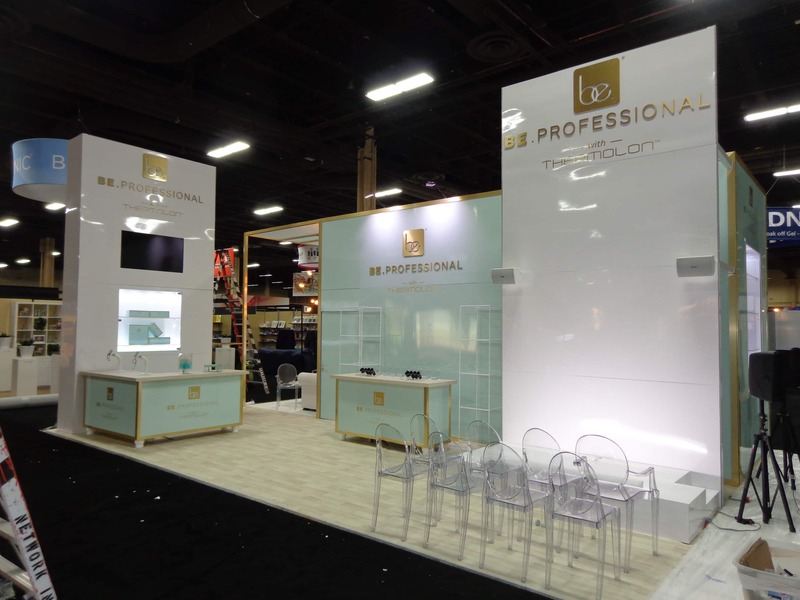 Trade shows help in collecting and providing information as well as publicizing your brand. You can provide real time trade show updates or follows at a digital display. This will not only generate interest but will also keep the attendees focused on your booth. It might be possible that many people will start following your brand on social media if they found your products and services to be useful. When implemented correctly, digital displays tell the story of your brand that drives results and higher return on investment. With so many options available, let Los Angeles-based Abex Exhibits help you select the right trade show display for your next trade show. With 38 years of expertise, we design and provide interactive booths that will help your brand capture more leads on the exhibition floor.